What happens after taking the NCLEX-CAT? What do you need to do if you FAIL? Once you complete your test, you will be asked to take a short, computer-delivered survey. These questions are designed to help evaluate the testing experience, and your answers do not affect your grade in any way. After you take the survey, raise your hand to alert the test proctor that you are finished, and then you are free to leave. The test is scored twice: immediately by the computer and then again after the test is transmitted to the testing center. It is only then that the results are sent to the appropriate state nursing board. No results are released by the test center. In fact, calling either the testing center or the board office is discouraged and will not result in your knowing your score any sooner. The time and method(s) used to inform you of your test results are determined by the state board of nursing handling your licensure application, but it is recommended that you allow four weeks for receiving test results by mail. The results are stated as either a “pass” or a “fail”; no letter grade or percentage is assigned. A candidate who is unsuccessful will receive a performance report. Although unwelcome, this report is invaluable since it provides a detailed description of the test taker’s strengths and weaknesses – topics on which the test taker needs remediation, a guide for studying, and information about rescheduling the examination. There is typically a mandatory waiting period established by the individual state board. Psst! The most important advice for those who must re-take the NCLEX is: Do not despair; you can pass. Have a good cry, take a deep breath, refine your plan, and try again. Realize that you are not alone. It isn’t something nurses like to talk about, but you will be surprised at the number of practicing nurses who took the NCLEX more than once. But they persevered and passed, and so can you. Do not hesitate to network with other nurses who weren’t successful the first time, either. They may be able to give you concrete suggestions for meeting this problem head-on. Review the performance report you received from the state nursing board. This will give you a good idea of where (which NCLEX test plan areas) to concentrate your remedial work. Once you know where you went wrong, figure out how to avoid making the same mistakes. You know what you did to prepare for the first test; now decide what changes you must make to prepare for the second one. According to both nursing faculty and administrators, the primary cause of initial NCLEX failure is lack of effective preparation. If you are working as a graduate nurse, notify your employer. Often, it will have remedial courses available for you to use. Contact your school of nursing. The faculty is a great source of information about the best methods for refreshing your knowledge and applying it appropriately. 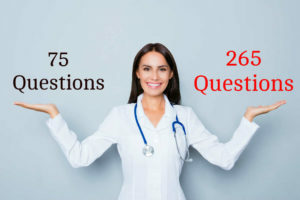 NCLEX review books and review courses are often very helpful in both strengthening your weak areas and in giving you back that all-important self-confidence. Be realistic; you will need to prepare for the NCLEX retest, and this study plan must differ from your first plan. You are about to experience one of the most exciting times in a nurse’s career – taking and passing the NCLEX. Do not allow over-confidence, under-preparation, inflated anxiety, or deflated self confidence tarnish your performance. You have worked hard to earn the honor to practice as a professional nurse. Now prepare effectively; take a deep, calming breath; tell yourself you can do it; and go pass the NCLEX! I didn’t pass the test twice and was told I had to take a remedial course that has to be accredited by State Board. It has been some years now can you still help me.